Indian languages to English translation - English to Indian languages translation. Translation is the necessity for today’s world and we are providing the Indian languages translation in its best possible way. 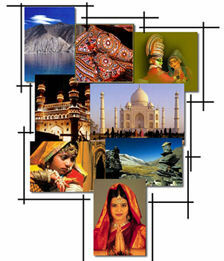 We employ only the very best Indian languages translators the world has to offer. They are meticulously screened during our rigorous selection process so that only specialists having the best qualification, industry experience and subject expertise handle your translations. We only work with dependable and experienced translators who consistently display superior performance and quality results. We ensure that the Indian languages translators assigned to your project have the appropriate expertise required to provide you with a high quality, culturally sensitive translation in any field that you desire. Indian languages Translation Fields: Document Translation (IT Manual, Software Manual, Multilingual User Manual, Technical Script and Manual, Training Material, Medical Documents, Engineering Documents, Marketing & Advertising, Legal Documents, Literatures, Official Papers, Tourism, Sports), Website Translation, Software Localization, Multilingual Web Publications, Web Content management and translation, Print Publications. The languages of India primarily belong to two major linguistic families, Indo-European, whose branch Indo-Aryan is spoken by about 70% of the population of India and that includes the Dardic languages; secondly, the Dravidian family (spoken by about 22%). Other languages spoken in India come mainly from the Austro-Asiatic and Tibeto-Burman linguistic families; in addition there are a few language isolates. India does not have the concept of a single "national language". The Indian Constitution does not recognize Hindi as the national language of India. Instead, "official languages" are recognized for individual states. Indian languages Translation services - Low Cost Indian languages Translation- Indian Language Translators - Cost effective Indian languages Network - Kolkata Indian languages Translation - Website Localization India - Kolkata Translators - Indian languages Content Writing India - Indian languages - Language Professionals Kolkata.